For your benefit, I have constructed an extraordinary EFT Tapping resource. 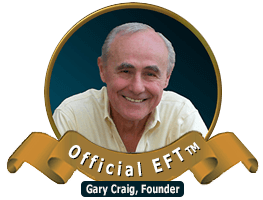 These 3,000 articles contain a huge library of articles written by EFT’ers from around the world ... endless ideas and approaches ... how-to’s ... tips on just about every ailment you can name ... creativity ... and more. They are all categorized and searchable so you can find what you want quickly. Please note, however, that these articles were written prior to the updated Gold Standard (Official) EFT Tutorial™ and thus may not reflect the latest methods. That’s OK. They are exceptionally useful for over 90% of the EFT World. For professionals and those wanting deeper insights into EFT, you are urged to combine these articles with the Tutorial and/or our newest advancement, Optimal EFT.